A Bill passed nearly 40 years ago, which required the licensing of bricks-and-mortar premises delivering healthcare such as hospitals, medical clinics and laboratories, is about to be revamped for the age of digital doctors and in-the-community care. The proposed Healthcare Services Bill, expected to be passed in Parliament this year and to come into force next year, will replace the 1980 Private Hospitals and Medical Clinics Act. Technological advances in medical care and Singapore's ageing population, who need at-home care across a range of providers, are taken into consideration in changes that propose licensing based on the services provided, rather than physical premises. Much of the Bill is straightforward, such as the need, qualifications and role of a clinical guidance officer for all licensees to be the person at whom the buck stops. However, there are other aspects that not only affect professionals and businesses, but which should be looked at by the public to see if they are comfortable with them or to suggest improvements. The public can give feedback on the draft Bill to the Ministry of Health (MOH) until Feb 15. Singaporeans are more aware of their rights today - so people who want a say should take the trouble to scrutinise the 106 pages of the proposed Bill and the 29 pages of annexes. Here are some aspects to take a closer look at. The Bill would make it mandatory for all healthcare institutes, including laboratories, to input patient data in the National Electronic Health Records (NEHR). Currently, the NEHR scheme is a voluntary one. The Bill details what needs to be put in, who has access and what happens if someone infringes the rules. A lot has already been said over the past year once it became clear that the ministry's intention was for all to get on board. Concerns raised include liability for errors, patient's wish for confidentiality and whether information in the system could be used against them when seeking new employment or when buying insurance. Some of these have been addressed in the Bill. By having a patient's medical history, doctors - especially in emergencies - will have a clearer picture of the health and medication of a patient, even an unconscious one. Doctors ordering tests will be able to compare the results with similar previous tests to know if there has been an improvement or if the condition is getting worse. The medical history will also be a rich source of information for researchers, who may obtain anonymised data through proper channels. Their research could lead to better healthcare provision for all in the future. The way it now stands, only healthcare professionals are allowed access to a patient's details, and only for the purpose of treating the patient. So a doctor doing a health check for an employer cannot refer to a person's medical history. Similarly, insurance companies cannot get their doctors to look up the medical history of people who want to take up health insurance or people who are making claims to find out if the person has pre-existing diseases that void their insurance coverage. But there is nothing in the Bill that stops insurers and employers from getting the person to sign on to access his own medical history in the NEHR - since access will be available to individuals - and showing it to them. Perhaps this, too, should be clearly prohibited to prevent companies from using loopholes to bypass the spirit of the Act. Already, the Life Insurance Association of Singapore disagrees with the prohibition and hopes to convince the ministry to give them access. Its point is that if people are honest, they should not fear insurers checking their medical history. If this is done before a policy is signed, then insurers cannot exclude any coverage in future. Insuring people for undeclared medical problems they know they have is unfair to other policy holders - as payment for treatment comes from the premiums everyone pays. But some people fear that insurers, with their eye on the bottom line, might zero in on minor problems and use them to get out of paying for treatment. Or worse, wrongly inputted data or a mistake in an earlier diagnosis might deprive patients of rightful coverage. This subject bears discussing, for both sides have valid arguments. Some people may not want some of their medical history in the system for various reasons. For example, those with mental illness or sexually transmitted diseases may feel embarrassed should any doctor they consult in future call it up. The Bill now allows two ways for them to opt out. The option the ministry prefers is for people to have their medical information put into the system, but not allow it to be accessed. Should they later change their mind and want to be part of the system, their historical data will be available. The second option is clear-cut: They are simply not in the NEHR. As for the first option, while doctors are not allowed access to the medical records, the records are open to a request by a court of law. So they are not entirely out of bounds. They may also be legally accessed in an emergency department if information about the person's medical history is needed in a life-threatening situation. Frankly, this is to the person's advantage. But should there be a third option? This could be to let people selectively opt out. So general health information is put in, but not what a patient might feel is "shameful" or want to keep private, such as an abortion by an unmarried woman. This might be administratively more tedious, but if it gets more people onto the NEHR, it might be worth the effort. And can someone who is on the system later decide to opt out? Though it is not spelt out in the Bill, MOH says it can be done. However, any information already in the system will not be removed but will be locked from access. 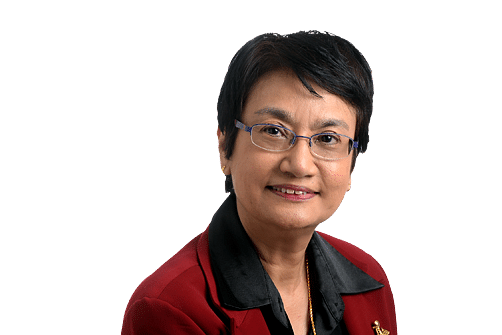 Dr Ho Kok Sun, a colorectal surgeon in private practice, suggested that opting out should also not be onerous - now it must be preceded by counselling, while those who do not want data in the system will be considered on a case-by-case basis. He also asked what doctors should do if the medical history in the NEHR differs from what the patient says: "Do we trust the NEHR to be accurate, or do we trust the patient and ignore the NEHR?" Meanwhile, Dr Tan Tze Lee, president of the College of Family Physicians, asked why foreigners seeking treatment here should be included in the NEHR. This, the college feels, would undermine Singapore's efforts to be a medical hub. He said: "Foreign patients who may not wish to have their data submitted would likely choose to go to other centres like Hong Kong, Malaysia and Thailand." Should all foreigners be exempt? Or should they be included if they live and work here, but exempt if they are not residents? Aside from the NEHR, there are other proposals that could do with some public airing, such as prohibiting unsafe practices or services. While it sounds like a no-brainer, a look at some of the proposed treatments makes one wonder. They include chelation therapy - where a chemical is injected into the bloodstream to remove heavy metals and minerals in the body - which is legal in Canada; and bio-identical hormone replacement therapy, with therapeutic claims, which some doctors here now offer. While applauding increased safety features, one wonders how thorough the studies are on the therapies before they are banned? Is there a medical bias against alternative remedies? Some of the aesthetic treatments on the list, such as microneedling dermaroller (these can be bought on the Internet for home use) and mechanical massage may not work, but are they truly dangerous? Would having doctors warn patients that there is no data on the effectiveness of such treatments be better in some cases? Perhaps prohibition should be limited to treatments that truly pose a danger. The Bill also states that terms and names must not mislead or cause confusion. So once the Act is in force, clinics cannot use "National" or "Singapore" in their names without permission, as they connote a national body. This does not affect those already so named. Should this be expanded to prevent other misleading signage, such as general practitioners claiming to specialise in aesthetics - not wrong but implying a specialty that does not exist? Perhaps all clinics should have prominent signs that state if the doctors are GPs, family physicians or registered specialists. The same goes for dentists. Given the complex issues involved, hopefully the authorities, having asked for feedback, will take a serious look at what is submitted. • Have your say: For more details and information on how to submit feedback, go to www.hcsa.sg.